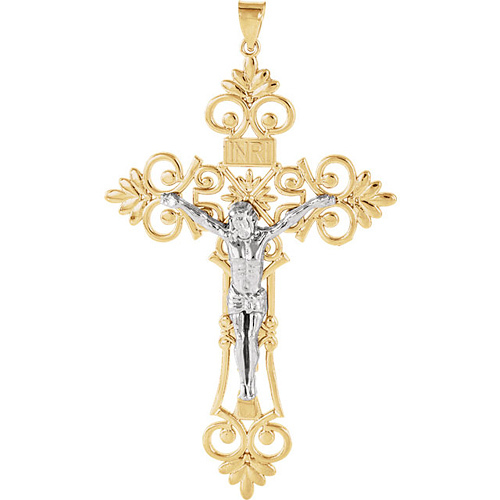 This extra large ornamental INRI crucifix is made of polished 14k yellow and white gold. 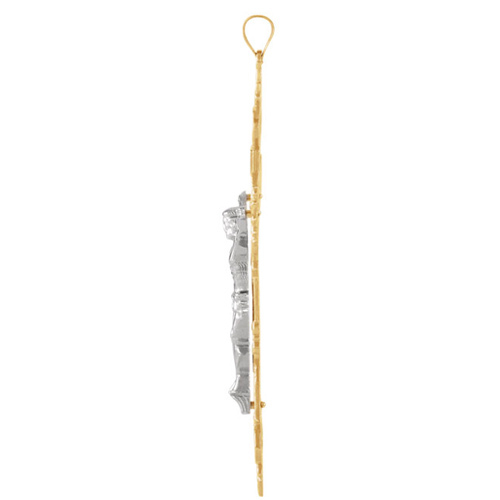 Dimensions: 63.5mm x 41.75mm. Bail is 6mm. Chain not included.